Best Air Conditioning & Heating Service Richardsville, VA | Robert B. Payne, Inc.
Air conditioning and heating service in Richardsville, VA, should be performed by the very best. Robert B. Payne, Inc. is known for going above and beyond. Whether you require professional installation or routine maintenance, our experienced technicians are just one phone call away! First and foremost, Robert B. Payne, Inc. has been in business since 1930. That is decades longer than most other service providers. The secret to our success is you, the community. Since day one, our focus has been on total customer satisfaction, the highest quality products, and providing benefits that matter! At Robert B. Payne, Inc. we’re known for our installation services. 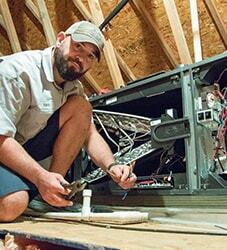 Whether you need a brand-new system or are replacing an old model, our techs will ensure the unit is installed correctly. In doing so, we ensure an extended lifespan, higher energy efficiency, and fewer repairs overall. You’ll ultimately save money by scheduling professional service! 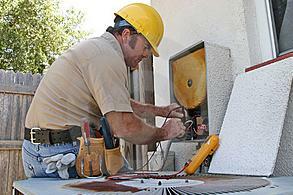 The key to a healthy HVAC system is routine maintenance. The air filter, for example, must be swapped out monthly. Furthermore, the entire system could use a good cleaning every so often. While we’re doing both, our technicians will examine every component and wire for fault. If we spot something today that could be a problem tomorrow, we handle it! Don’t let a broken air conditioning or heating system keep you down. 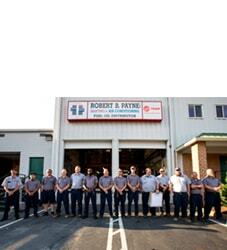 Turn to Robert B. Payne, Inc. We’ll send someone straight to your doorstep, equipped to handle all manner of repairs. Whether the job is big or small, we’re ready to tackle the problem. In fact, we’ll have your HVAC system running smoothly that very day! 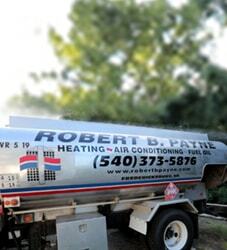 Schedule affordable air conditioning and heating service in Richardsville, VA, with Robert B. Payne, Inc. Give us a call now at (540) 373-5876! We serve the entire Richardsville, VA 22736.